Swami Niranjanananda Saraswati was born in Rajnandgaon (Chhattisgarh) in 1960. Guided by his guru, Swami Satyananda Saraswati, from birth, at the age of four he came to live with him at the Bihar School of Yoga in Munger where he received training in yogic and spiritual sciences through yoga nidra. 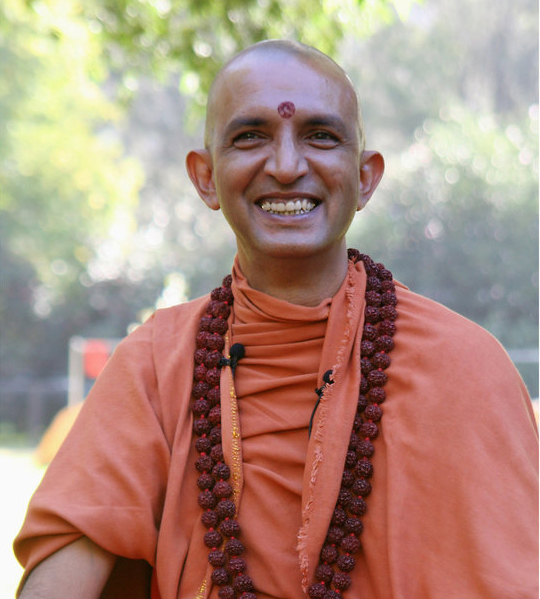 In 1971 he was initiated into Dashnami sannyasa, and thereafter for eleven years he lived overseas, mastering skills in varied areas, acquiring an understanding of different cultures and helping establish Satyananda Yoga ashrams and centres in Europe, Australia, North and South America. At the behest of his guru, he returned to India in 1983 to guide the activities of Bihar School of Yoga, Sivananda Math and the Yoga Research Foundation at Ganga Darshan. In 1990 he was initiated as a paramahamsa sannyasin and in 1995 anointed spiritual preceptor in succession to Swami Satyananda Saraswati. He established Bihar Yoga Bharati, the first university of yoga, in 1994 and the Yoga Publications Trust in 2000 in Munger. He also initiated a children's yoga movement, Bal Yoga Mitra Mandal, in 1995. In addition to steering the activities at Munger, he travelled extensively to guide seekers around the world till 2009, when he received the command to embark on a new phase of sannyasa life. Author of many classic books on yoga, tantra and the upanishads, Swami Niranjan is a magnetic source of wisdom on all aspects of yogic philosophy, practice and lifestyle. He ably combines tradition with modernity as he continues to nurture and spread his guru's mission from his base at Munger. Return to the Masters page.